The A450® Handheld Flue Gas Analyser is a sturdy measuring device that combines solid workmanship with a clear color display. All measured values are displayed clearly at a glance. 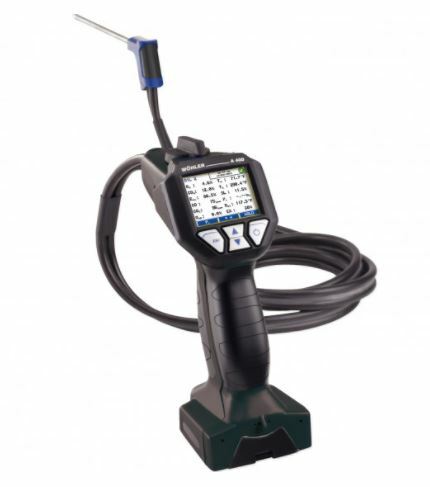 The A450® Handheld Flue Gas Analyser is a well rounded tool that offers measurements such as flue gas analysis, draft measurement, burner tuning guide, adjustment tasks on gas and oil systems and even solid fuel fireplaces. A450® Handheld Flue Gas Analyser is compact and lightweight by design and is guaranteed to be user friendly, thanks to its powerful user interface. 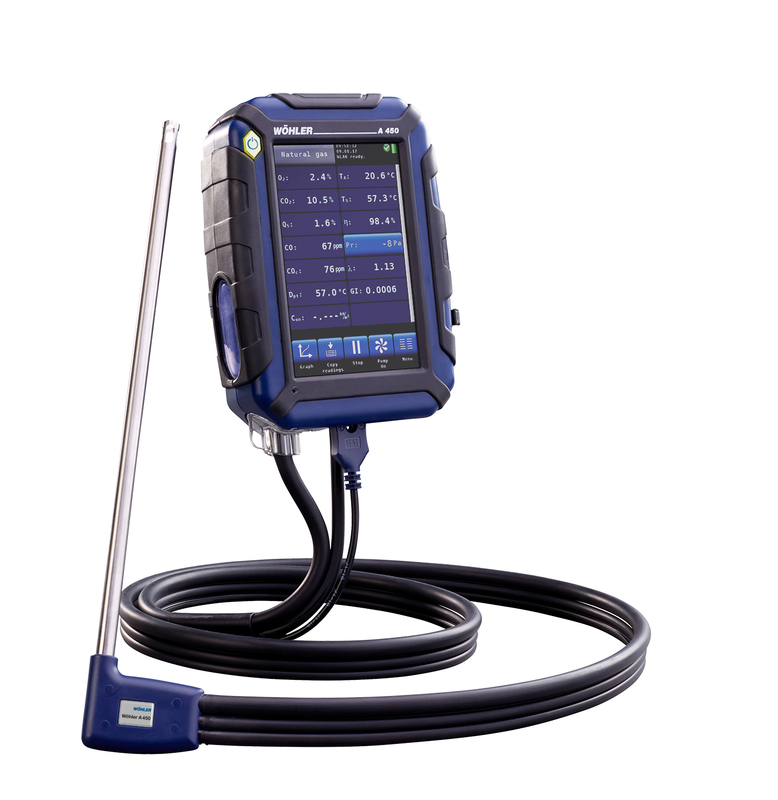 In addition to the user-friendly convenience of the touchscreen the A450® Handheld Flue Gas Analyser also offers the advantages that “smart devices provide”: You are able to transmit all measurement data to a mobile devices (smartphones, tablets by Android and iOS) by Wireless LAN. These devices can then display the measurements as numerical values or as a graph in the Wöhler A 450 app. The app gives technicians the option of reading measurements already taken and also the ability to take new measurements through the app. This proves to be particularly practical when measuring at points with poor accessibility. The measurement data can be saved in different formats and sent to the customer by email. 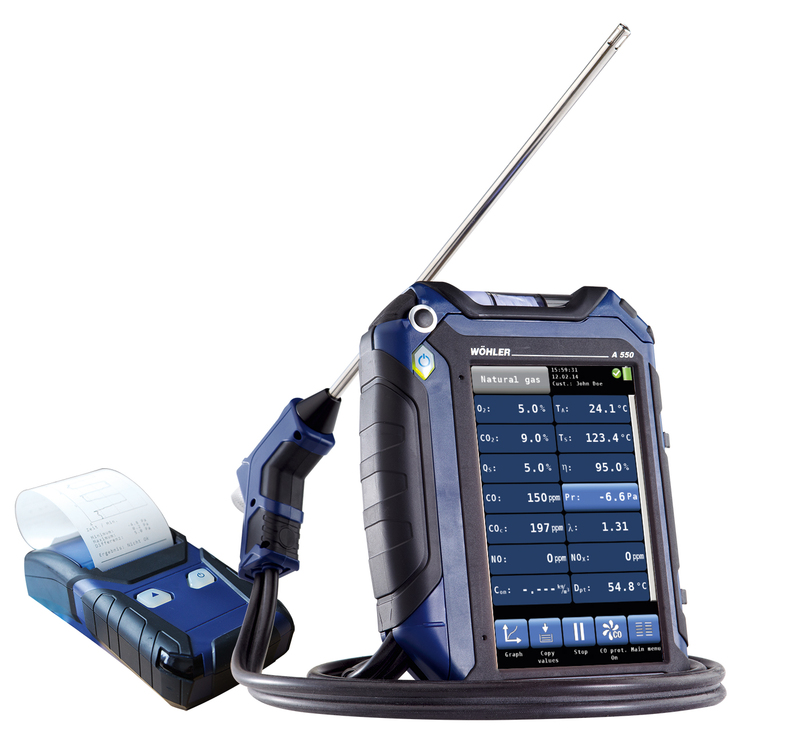 The A450® Handheld Flue Gas Analyser offers multiple sensor configurations. Here are the measuring parameter for the most common gases. Boilers and burners commissioning, regulatory inspection, combustion control, process gas and emissions monitoring in combustion plants and associated filtration systems are typical applications for the A450® Handheld Flue Gas Analyser. 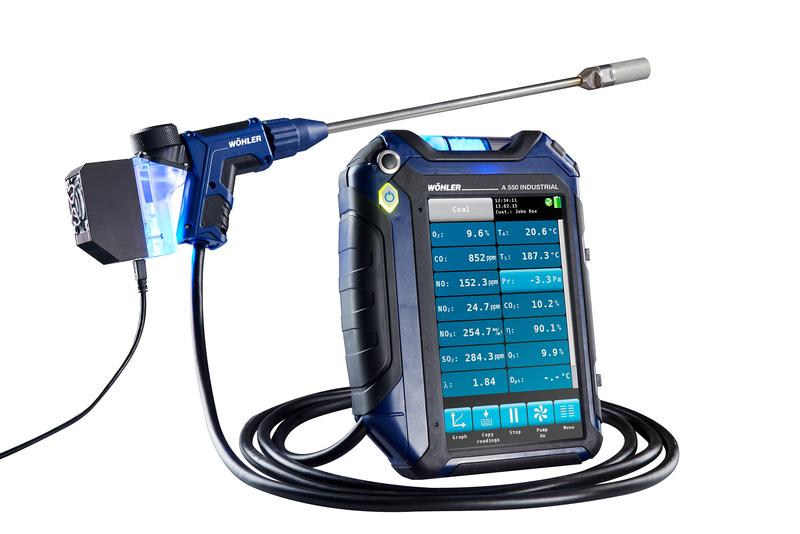 The A450® Handheld Flue Gas Analyser is a well rounded tool that offers measurements such as flue gas analysis, draft measurement, burner tuning guide, adjustment tasks on gas and oil systems and even solid fuel fireplaces.